Introducing, a patent pending, revolutionary new way to temporarily convert your existing Gas Grill into a Charcoal Grill in minutes. Introducing the CharBQTM. In just a few minutes, you can be cooking with wood or charcoal in your existing gas grill and give your food a delicious char-grilled/smoky flavor. The CharBQTM is completely adjustable and one CharBQTM grill fits in most existing gas grills - any manufacturer. And for those extra large grills, simply add a second CharBQTM to fill in the space! And, for those times when only a smoked meal will do, the CharBQ’sTM swill help transform any grill into a smoker. Whether you use the CharBQTM in your gas grill or to line your charcoal grill, clean-up is a snap. Simply lift out the CharBQTM and pour the ash into the trash. • The CharBQ is fully adjustable (multi-directional) to fit most grills on the market today. •	The CharBQ is the only barbeque accessory that allows gas grill users to temporarily cook with charcoal in their gas grill, and quickly and easily switch back to gas grilling. 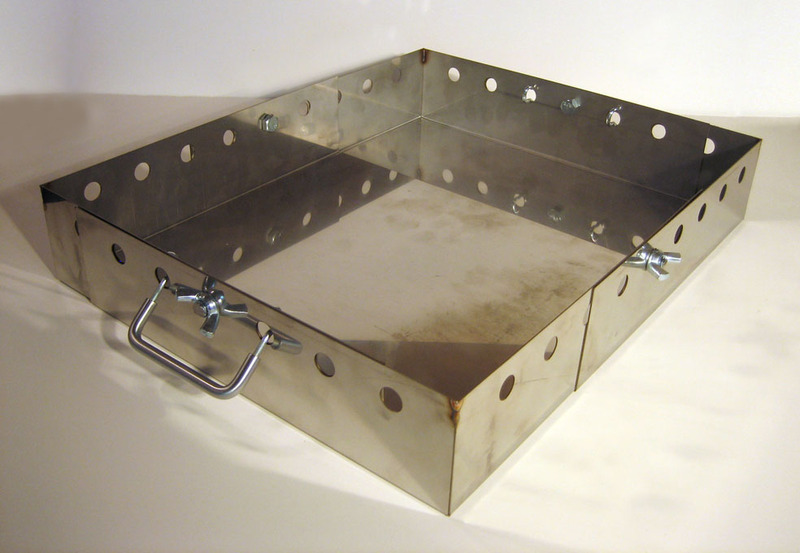 •	The CharBQ is also grill liner for users of charcoal grills – allowing for easy clean out. •	The CharBQ includes a smoker cover to allow for smoking in addition to grilling on any type of grill, gas or charcoal. •	The CharBQ includes removable handles to easily place and remove the unit, hot or cool. 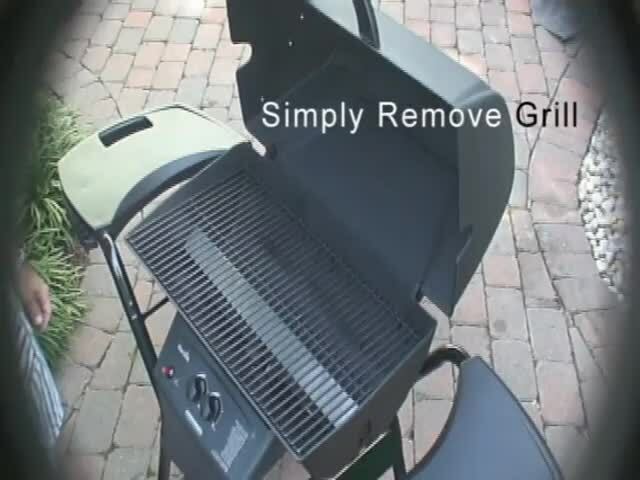 •	The CharBQ handles can also be used to remove and replace existing grills. • The CharBQ is made from stainless steel, so will not rust, inside or outside the barbeque. Charcoal grilling may not offer the same level of convenience as gas, but it does boast one benefit that stands out above all others: smoky flavor. The dry, white-hot heat of charcoal sears meat quickly, creating a crusty, caramelized exterior and imparts a telltale smoky flavor. • Multiple grill ownership is on the rise: One-third of all American grill owners (35%) now own two or more barbecues. One in five of all US grillers own both a charcoal and gas grill. • The grilling accessory market continues to grow: 32% of American grill owners say they’re using grilling accessories more now than in the past. • When it comes to taste, a whopping 58% of American grill owners say charcoal grills make tastier food than gas grills. * Charcoal grill owners are most often prompted to cook on their charcoal grills by their desire to eat good-tasting food (77 percent). 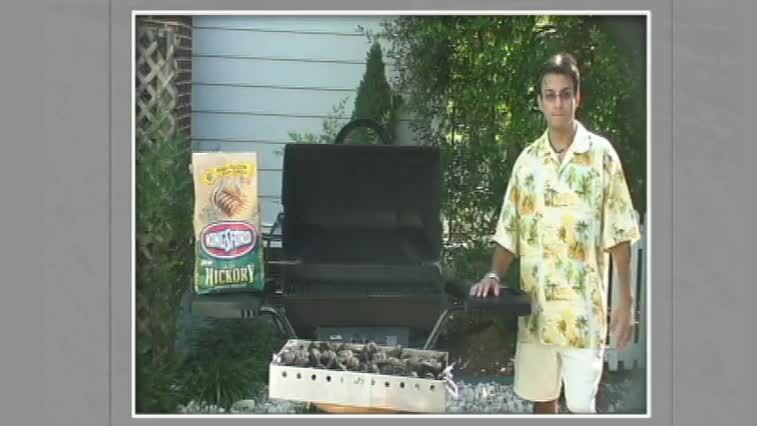 * Sixty-eight percent of households own a gas grill, followed by charcoal (37 percent) and electric (2 percent). * 43 percent of grill owners see their outdoor grilling area as a functional cooking area of their home, while a third see it as a place to rest and relax. * Charcoal Facts according to Hearth, Patio & Barbecue Association.